The process of removing the old turf will stop at the end of July and the hybrid system that was used last season will be implemented again. 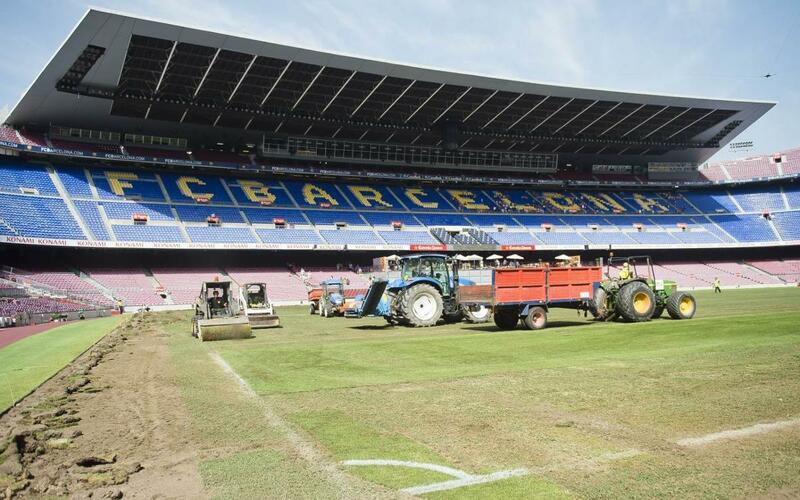 In order to be able to play the first game scheduled at the Camp Nou in 2017/18 on a brand new surface, Barça’s ground staff have been working since Wednesday, removing the old pitch. The Joan Gamper Trophy will be contested on August 7 against Chapecoense, and in the days leading up to the match the final touches will be made to ensure that the turf is in perfect condition for players of both teams.